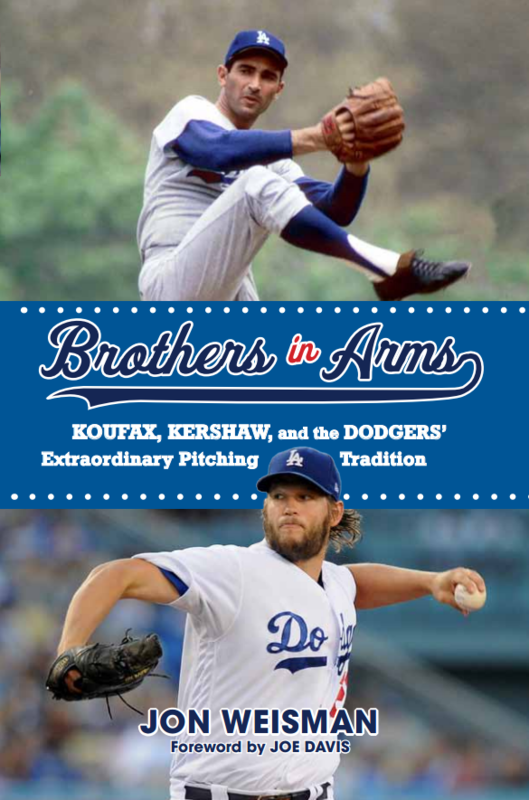 For Brothers in Arms, I crafted profiles on whom I found to be the most significant relievers in Dodger history: Hugh Casey, Clem Labine, Joe Black, Larry Sherry, Ron Perranoski, Jim Brewer, Phil Regan, Charlie Hough, Mike Marshall, Steve Howe, Tom Niedenfuer, Alejandro Peña, Jay Howell, Todd Worrell, Jeff Shaw, Eric Gagné, Takashi Saito, Jonathan Broxton and, of course, Kenley Jansen, whose final exploits have yet to be written. Each carries the story of the Dodger pitching tradition forward in some important way, even in the times they came up short. Working on the book last year, I fantasized more than once about Jansen somehow following in the footsteps of Labine, who came out of the bullpen to pitch a 10-inning shutout in Game 6 of the 1956 World Series. Or perhaps Jansen would emulate Sherry, who became MVP in the ’59 Fall Classic even though he hadn’t become a full-time major-leaguer until that July. 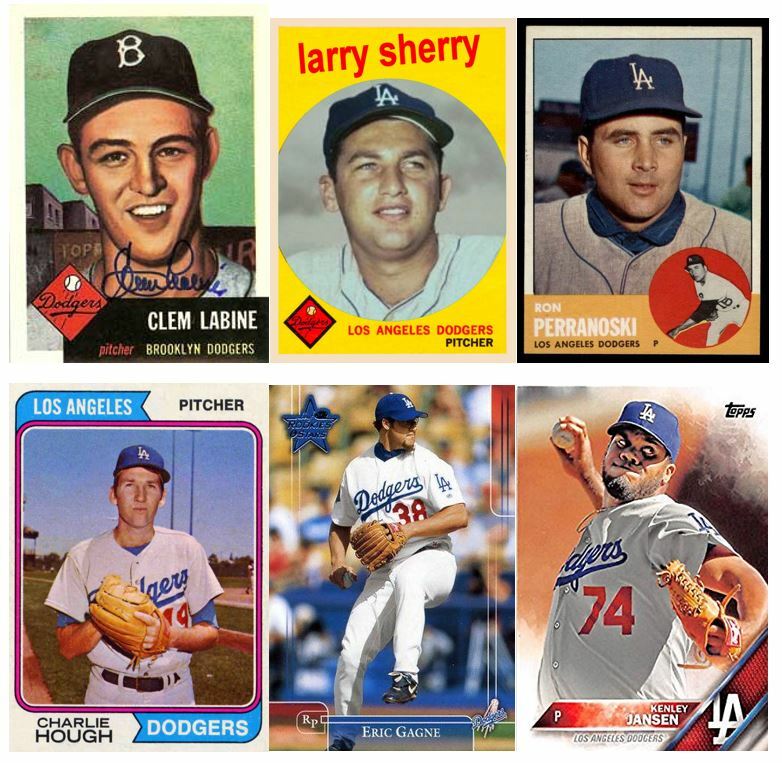 In all, it’s a sprightly journey through the history of the men who have come to the Dodgers’ rescue for the past 80 years, quite arguably saving the best for last in Jansen. While the Dodger pitching tradition stands mainly on the starting pitchers, you couldn’t tell the complete story without the bullpen. And so, there you have it — a look at every section of Brothers in Arms. This obviously won’t be the last time I write about it, but I hope you’ve enjoyed these glimpses of what the book has to offer.